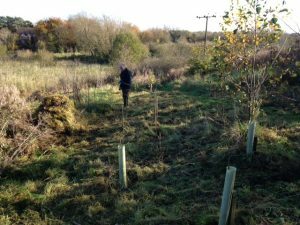 Over last winter, we did a lot of work at Burton Brook wildspace to cut back the brambles in several places, laid hedges, pollarded some large willow trees and built some more paths. 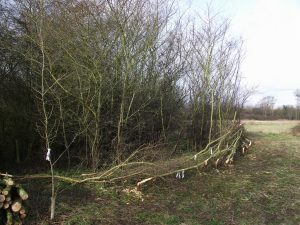 At the entry to the Burton Brook site there were some large crack willow trees, these were pollarded in February to encourage denser growth and avoid larger branches being broken in the wind (this is a common problem with crack willow). 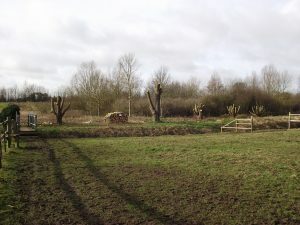 Since then the willow has grown back so its now almost unrecognisable, with 2-3 metres of growth! 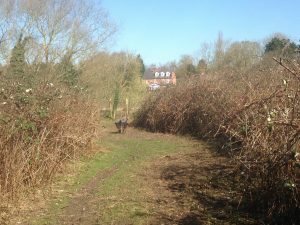 The public footpath was cleared of brambles, with the help of Severn Trent volunteers, April 2017. 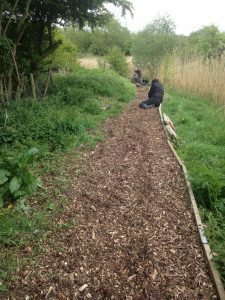 A new path was made near the stream, widening the existing track which was uneven and on a slope. 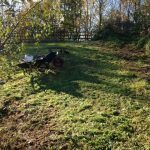 Clearing the long grass, September. 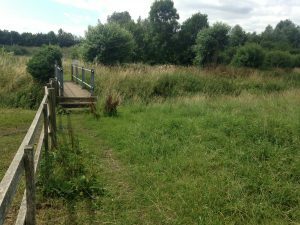 Long grass was cut with the reciprocating mower and raked off, to encourage wild flower growth next year.